In 1997 Gustaf W. McIlhenny created the nonprofit charitable organization that bears his name, the Gustaf W. McIlhenny Foundation. 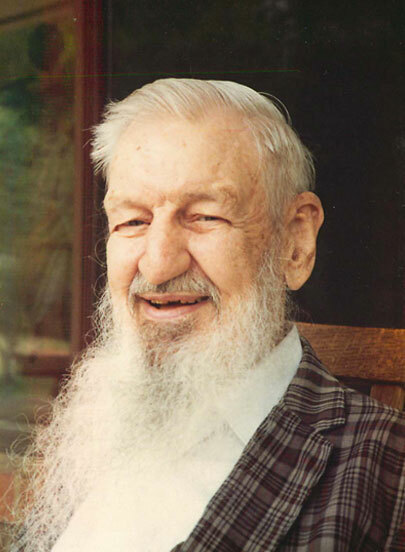 Born in 1914, “Bo” (as family and friends called him) was the second of five children born to Dr. Paul Avery McIlhenny and Louise W. McIlhenny of New Orleans. Bo’s paternal grandfather was Edmund McIlhenny, inventor of renowned TABASCO® brand pepper sauce. Each summer Bo’s mother took her children from New Orleans to escape the heat and risk of yellow fever, and to expose them to other places and cultures. These trips usually included a visit to Rugby Lodge, her family’s summer home in western North Carolina. Bo’s father would meet them there when permitted by his hectic schedule as a surgeon. In the summer of 1925 the family was at Rugby Lodge when tragedy struck: a car struck nearly eleven-year-old Bo. He sustained severe injuries and remained comatose for weeks. Those at his bedside feared he would die from his injuries. His recuperation was grueling, both for him and his family. It was particularly hard on his father, who as an orthopedist knew all too well the challenges Bo would face during recovery. Some called it a miracle, but through perseverance and the love of his family Bo slowly improved. He had suffered some brain damage, however, and had to relearn how to walk and speak. Determined, Bo eventually returned to high school and graduated on time with his class. The next fall Bo enrolled at Tulane University, but the college experience overwhelmed him because of his disabilities. Although a difficult decision, Bo and his parents felt it best for him to resign from school. He subsequently pursued a series of jobs, but as years passed life became increasingly difficult for him. After the U.S. entered World War II, for example, his three brothers and many of his closest friends left to serve their country — and it pained Bo to be left behind. Bo was handsome, intelligent, witty, and most of all kind. Yet because of the accident he walked with a limp and spoke slowly, with an evident speech impediment. As he got older, he realized that navigating life’s complexities would become more challenging. As a result, Bo lived much of his adult life at home with his parents. When his parents entered their later years, however, it became evident that a change had to be made in Bo’s living arrangements. One of Bo’s best friends was Dr. Henry Miles, a specialist in both Internal Medicine and Psychiatry who had married the daughter of a close family friend. Because of this relationship Bo’s mother placed great trust in Dr. Miles, who recommended an alternative to Bo’s increasingly unhappy life in New Orleans. In 1955 Dr. Miles accompanied Bo to North Carolina, near Bo’s childhood summer home. The doctor believed Bo’s quality of life would improve in this new environment — that Bo would be more comfortable away from the complexities and stress of living in a major metropolitan area like New Orleans. From that time on, Bo resided in an assisted living facility in Asheville. Free to come and go, Bo enjoyed visiting with his siblings when they holidayed in North Carolina. Together they made day trips or visited the Biltmore Dairy for Bo’s favorite treat, a chocolate milkshake. His family by then had grown to include sixteen nieces and nephews, all of whom he admired and who would visit Bo as often as possible. In Asheville, Bo became extremely interested in the stock market and followed it regularly. Indeed, he became an excellent investor and prospered. Thus, in the early 1990s Bo solicited help from his niece’s husband, Edwin “Rod” Rodriguez, a Managing Director with Merrill Lynch. Out of that relationship came the Gustaf W. McIlhenny Foundation, dedicated to supporting projects that improved the quality of life for Americans, particularly in the southern U.S. When Bo passed away in 2001, he left a substantial part of his estate to his Foundation with the intention of supporting sustainable programs that improve access for opportunity of traditional values for all Americans, particularly in the Southern United States.